Situated near the beach, this romantic villa is within 2 mi (3 km) of Underwater World, Pantai Cenang Beach, and Cenang Mall. Tengah Beach is 1.1 mi (1.8 km) away. 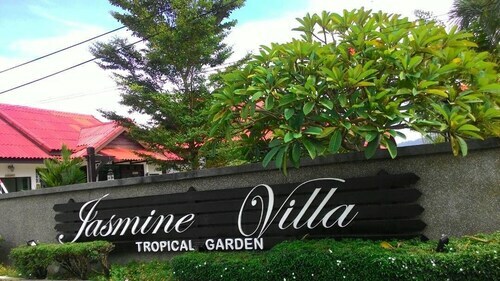 Located in the heart of Langkawi, this villa is within 3 mi (5 km) of 99 East Golf Club, Mahsuri Mausoleum, and Atma Alam. Pantai Cenang Beach and Langkawi Beach are also within 6 mi (10 km). Situated near the beach, this villa is within 2 mi (3 km) of Underwater World, Pantai Cenang Beach, and Cenang Mall. Tengah Beach is 1.7 mi (2.7 km) away. 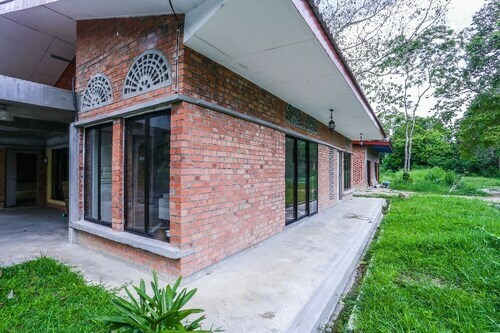 Situated in Langkawi, this villa is 2.8 mi (4.5 km) from Mardi Agro Technology Park and 2.8 mi (4.5 km) from Mahsuri's Tomb. Langkawi Beach and Field of Burnt Rice are also within 6 mi (10 km). 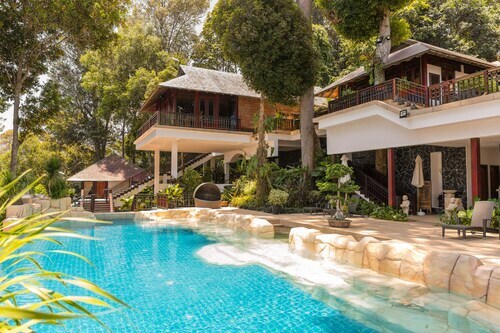 Situated near the beach, this villa is 0.2 mi (0.3 km) from Datai Bay and 2.3 mi (3.7 km) from Datai Golf Club. Air Terjun Temurun Waterfall and Pasir Tengkorak Beach are also within 6 mi (10 km). Situated near the airport, this villa is 2.8 mi (4.5 km) from Field of Burnt Rice and 3 mi (4.9 km) from Atma Alam. 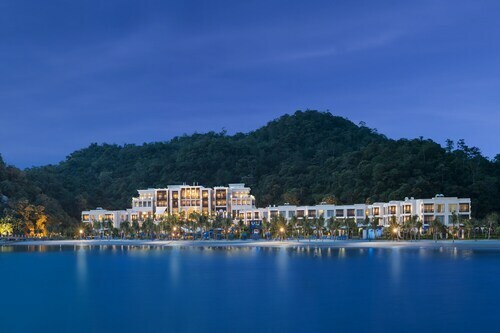 Langkawi Beach and Mardi Agro Technology Park are also within 6 mi (10 km). Situated near the beach, this villa is within 3 mi (5 km) of Tengah Beach, Pantai Cenang Beach, and Underwater World. Cenang Mall is 2 mi (3.3 km) away. 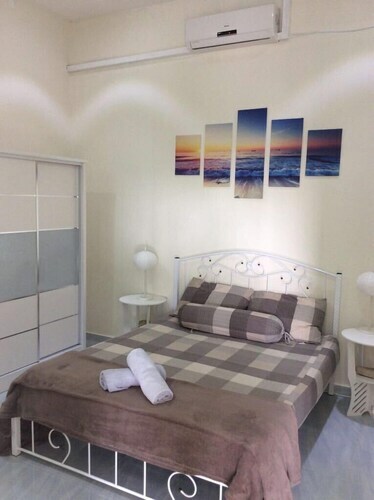 Situated in Langkawi, this villa is within 1 mi (2 km) of Rice Museum Langkawi, Pantai Cenang Beach, and Cenang Mall. Underwater World and Tengah Beach are also within 3 mi (5 km). 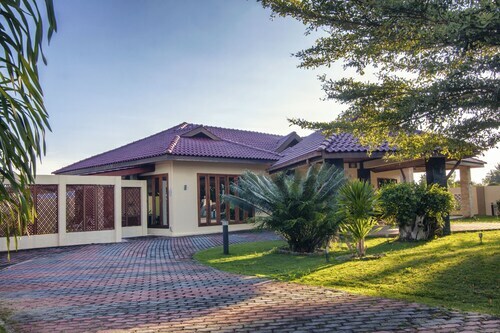 Situated in Langkawi, this villa is 0.7 mi (1.1 km) from Black Sand Beach and 2.3 mi (3.6 km) from Tanjung Rhu Beach. Hot Springs Village and Craft Cultural Complex are also within 2 mi (3 km). 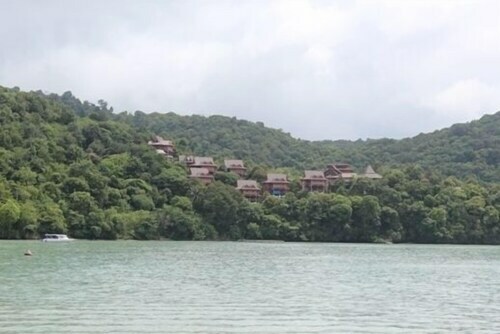 Situated in Langkawi, this villa is close to Atma Alam, Langkawi Beach, and Pantai Cenang Beach. Local attractions also include Cenang Mall and Underwater World. For your next batch of annual leave, holiday in style in one of our private villas in Langkawi. All you need, friend, is a reason to go and Wotif to help you get there. 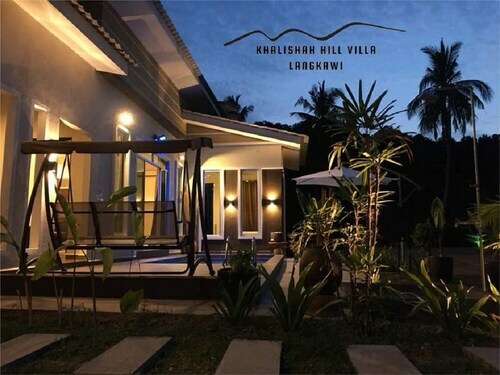 Langkawi villa holidays are especially popular with families, large groups, couples…wait, that’s just about everyone. It’s easy to see why: Villas allow you plenty of space to spread out and do your thing, whether you’ve got ten people or two. Planning for a wedding, and need to make sure Grandma, Aunt Liz, and your second cousin aren’t all on top of each other? A villa has you covered. Going on a romantic couple’s getaway, and just want to feel like you have a whole, secluded paradise to yourselves? Langkawi villas were basically made for that. The phrase “luxury villa” may seem redundant, because pretty much all Langkawi villas are luxurious. But when you add that extra word, a whole new world opens up to you. Incomparable service, extra amenities, and features like pools, steam rooms, gyms, and even in-room massage are all on the menu when you step up the star rating. But no matter your price range, you’ll find what you need right here on Wotif. We have to warn you, though, you may not want to browse while you’re at work. You’re liable to start daydreaming so hard, you’ll miss your next meeting. Nice place to stay, recommend requesting a room within walking distance of facilities as we got a room toward the end of the compound and was a pain relying on shuttles.